Would you like a career at Sea? A career as an officer in the Merchant Navy can be interesting and challenging. Before you can become an officer you need to complete a structured cadetship which is sponsored by PNTL. The cadetship is a three year course and you gain an internationally recognized qualification. There are three types of cadetship depending on the vocation you wish to follow: Deck; Engine and ETO (Electro Technical Officer). A high standard of classroom training at Fleetwood Nautical College as well as practical on the job training from our highly skilled officers on board our vessels. Not only is the cadetship funded by PNTL but our cadets also receive a tax-free salary of between £8k – £10k a year as well as having their accommodation paid for too. 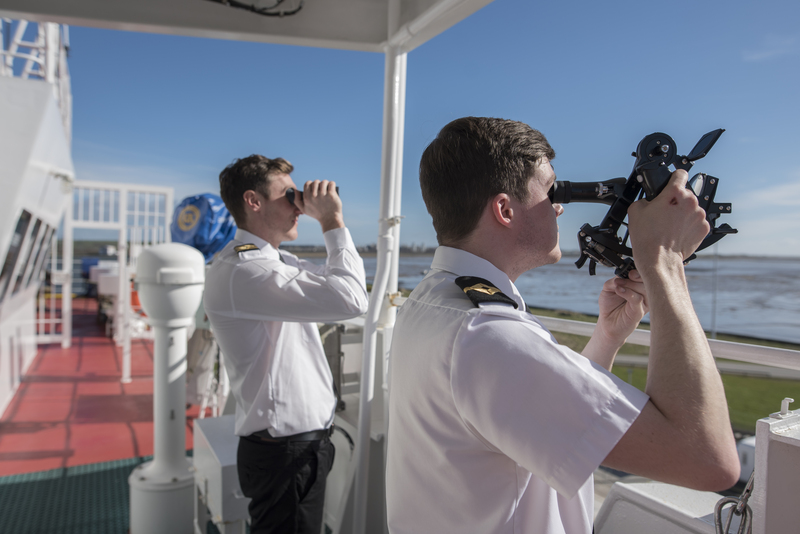 Starting salaries upon qualification for junior officers in the Merchant Navy are in the region of £25,000 to £45,000. For our employees we also pay for ongoing learning such as certificate revalidation as well as study time for further Certificate of Competencies. To thrive as a cadet you need to be adaptable, keen and motivated to learn. You’ll be expected to get your hands dirty and start with jobs like chipping and painting on deck or cleaning in the engine room. It is important that you are prepared to work as part of a team and take orders. You need to take control of your own learning and strive to be the best you can be. You will need to have at least four GCSEs (Grade A-C (9-4)), or equivalent qualifications. These should preferably include English, Math’s and Science. Upon completion, you will receive a Higher National Certificate as well as your Certificate of Competency. The Foundation Degree route is for candidates who have 48 UCAS points plus 4 GCSE grades A-C (4-9) including English and Science and Maths at Grade B (5) or higher. Upon completion of this route you will receive a Foundation Degree as well as your Certificate of Competency. For each route you must be at least 18 years old.